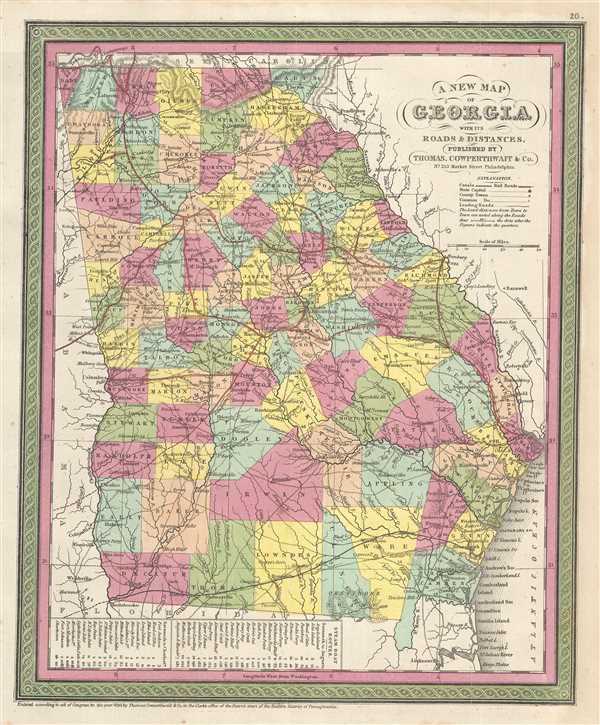 The state of Georgia with its roads. Very good. Overall age toning. Minor spotting at places. Stains in bottom margin, not extending over printed area.